If you have any questions about the Project NOVA information page below please contact us. 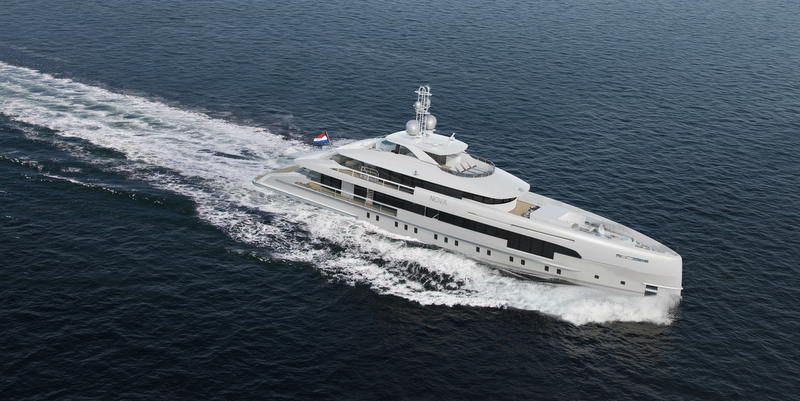 Luxury motor yacht Project NOVA (YN 17850) is a striking 50m (164') vessel, built by the premier Dutch manufacturer, Heesen Yachts. 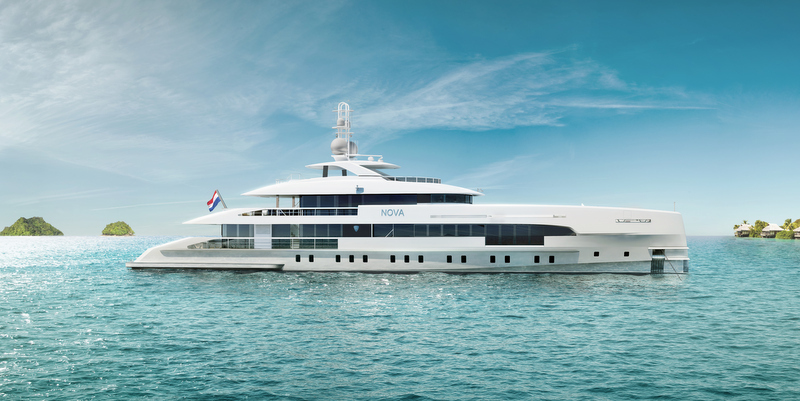 Superyacht Project NOVA has been beautifully penned by Omega Architects, with interior design by Sinot Yacht Design. Her launch is in 2017. 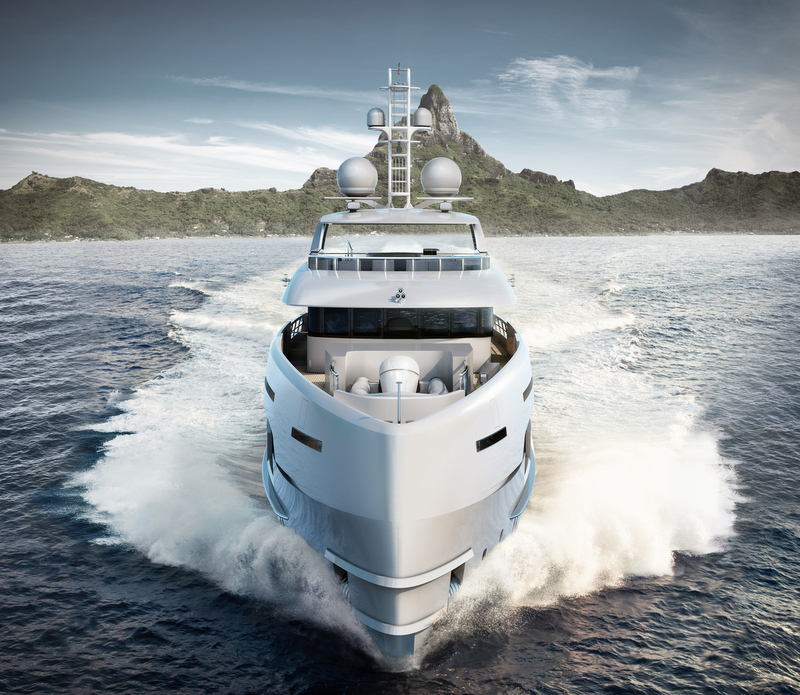 Entirely made of aluminium, Heesen luxury yacht Project NOVA (YN 17850) features a Fast Displacement Hull Form (FDHD), which reduces fuel consumption yet enables high speeds. 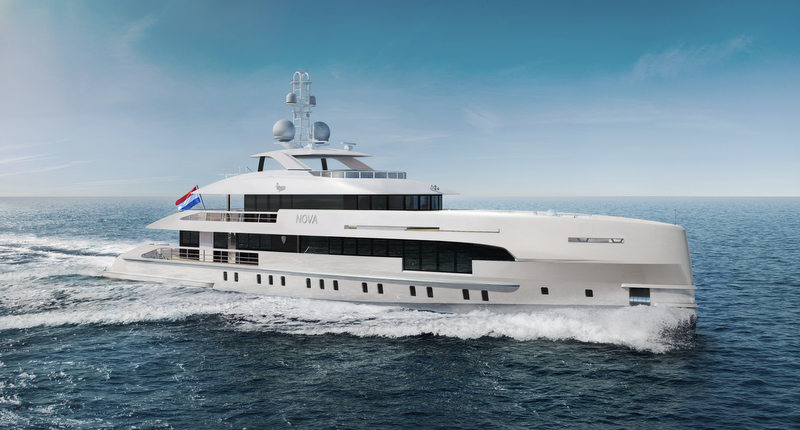 Luxury yacht NOVA provides elegant and comfortable accommodation to up to 12 guests in 6 lovely cabins. There is the main deck master suite, featuring a bathroom with central bathtub, as well as the lower deck guest cabins. These include a forward, full-beam VIP suite with a spacious bathroom with bathtub, two twin cabins located amidships, as well as two double cabins aft, both equipped with ensuite shower rooms. 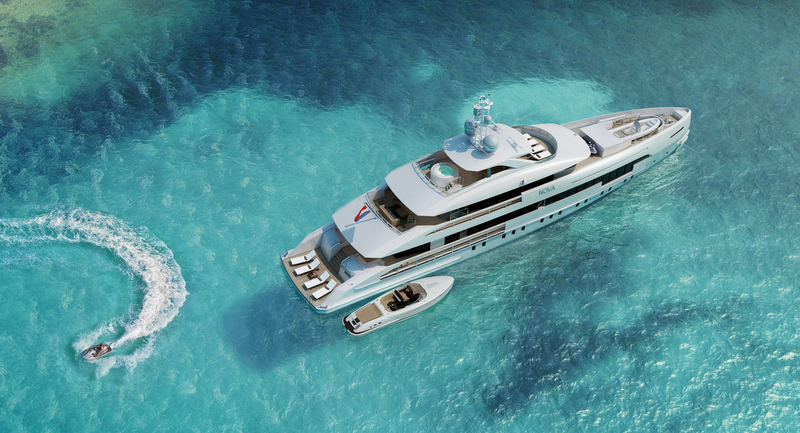 We do have available further amenity, owner and price information for the 49.80m (163’4”) yacht Project NOVA, so please enquire for more information. 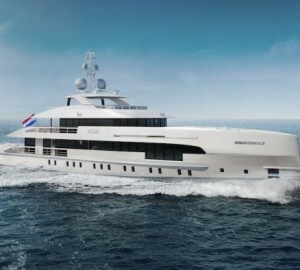 The luxury yacht Project NOVA displayed on this page is merely informational and she is not necessarily available for yacht charter or for sale, nor is she represented or marketed in anyway by CharterWorld. This web page and the superyacht information contained herein is not contractual. All yacht specifications and informations are displayed in good faith but CharterWorld does not warrant or assume any legal liability or responsibility for the current accuracy, completeness, validity, or usefulness of any superyacht information and/or images displayed. All boat information is subject to change without prior notice and may not be current.